WHO Watch is part of a broader ambition, the Democratising of Global Health Governance which emerged out of the Workshop on Democratising Global Health Governance held in Geneva on 14-15 May, 2010. Workshop participants affirmed that the power relations around global decisions which shape health conditions can be changed through new alliances and information flows. The Democratising GHG project is directed to changing the patterns of global decision making and implementation in matters which affect the global health crisis. The project brings together a coalition civil society networks and participating governments. The project aims to develop and implement practical initiatives which challenge the prevailing dispensation which governs global health. It aims to provide training, build organisational forms and create communication links between the policy process at the global level and the struggle to realise the Right to Health at the local community level. Through this project we will assist local activists to identify and engage with the global policy structures and assist global policy activists to ground their work more firmly in the issues confront grass roots struggles. In late 2010 the Democratising GHG consortium decided to build the project in stages and to focus in the first instance on WHO; hence WHO Watch. However, as the project develops we anticipate extending the Watch (and advocacy) to other arenas of global decision making which affect health as well as the practices of the global players at the country level. 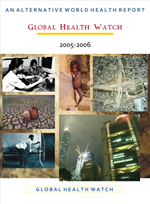 The Democratising Global Health Governance Initiative is closely linked with the Democratising Global Health platform which emerged in 2011 out of the JALI Initiative on National and Global Responsibilities for Health and the Delhi Consultation. 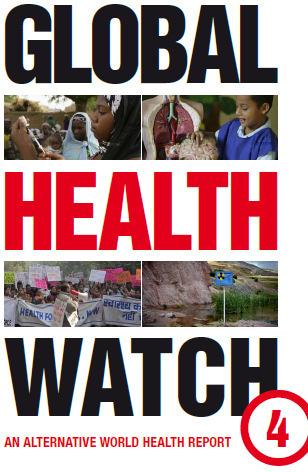 The Global Health Watch is a broad collaboration of public health experts, non-governmental organisations, civil society activists, community groups, health workers and academics.